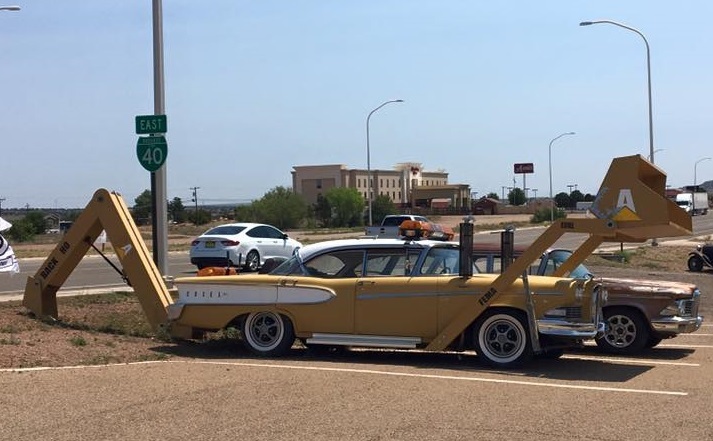 A friend snapped this pic today in New Mexico. YEAH. I know that car! It was built in Houston for the Art Car Parade. I knew the guy who owned it. Been a while since I saw him though. Anyway, it's sans the treads, but that is the same Edsel-monster. Last edited by houtex; 7/3/17 at 07:00 PM. Cool that you knew of it. So it has made it's way a little north and west to New Mexico.